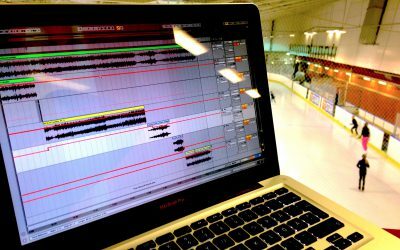 I edit music for singles and pairs skaters, ice dancers, synchronized skaters and roller skaters, from club level to Olympians and World Championship competitors. If you’re a skater, coach or parent looking for professionally edited and mixed music at an affordable price, you’ve come to the right place. We couldn't be happier the Skating Music Guy is working with us. He knows how to make the fadeouts work, how to combine different bits without an "ouch" moment and much more. We don't need to worry about the technical stuff any more as he fixes them for us. I am totally in love with the long program.... Wow, you are the best!!! Rob's craft and attention to detail is unsurpassed - whether it's a quick edit job or something of a larger scale, your finished product is going to sound incredible on the ice. You can literally hear the difference between TSMG's work and the competition. Thank you, the music is perfect! Just to let you know that Freya placed 2nd to your track at the British Solo Dance Champs at juvenile level! So a huge thank you to you! I am very pleased what you have done and have already promoted your services to other parents. It is absolutely fantastic to have a professional to help us parents and coaches. That's brilliant! Thank you so much for sorting Nicola's music. It sounds awesome, absolutely delighted with the final edit :-) Roll on the next competition so we can get it out there! We love [the program]! It is absolutely beautiful! You should have seen our smiling faces. You are amazing. Thank you! The Skating Music Guy did a fantastic job producing the music for our synchro program... We will definitely use his service again for our next program. This is perfect... Many thanks for all your efforts. You really did great work! [The music] is absolutely perfect... The first transition is flawless... Very impressed! Wow!!! [The music] is absolutely amazing! ... I love it!! Thank you!! It sounds amazing and I cannot wait for the first competition with this music. It’s easy to be a parent for a skater, because you do not have to take care of the music. The Skating Music Guy does just that - professionally. Your music precisely the right length and tempo. Louder, clearer music for a polished performance. Neat tricks, like making endings from fadeouts. Custom work to fit the music to your program. © Copyright Rob Colling 2017-2019. All rights reserved.